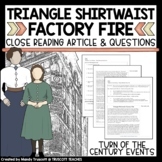 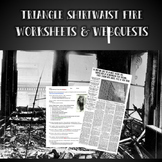 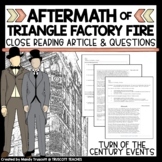 Close Reading Article: "Triangle Shirtwaist Factory Fire"
Close Reading Article: "Triangle Shirtwaist Factory Fire Aftermath"
Newman recalls her young childhood as a child laborer at the Triangle Shirtwaist Co. before the catastrophic fire of 1911. 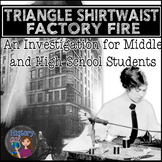 She recalls the dangerous working conditions, long hours, need for unions, and reasons why nobody looked for other jobs. 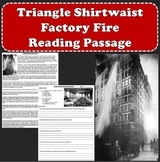 Working as individuals or in small groups, students will review and analyze primary sources related to the Triangle Shirtwaist fire. 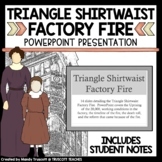 Each individual or group will receive 2-3 minutes to make a statement to the entire class regarding who they believe is most culpable in the Triangle Shirtwaist Fire. 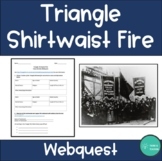 Web quest following the Cornell Triangle Shirtwaist website. 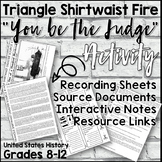 A great way for students to explore the details and effects of the historic event. 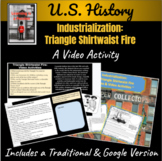 Great for ELA class as well as Social Studies.